The cheap and quick way to connect and record your guitar is with an inexpensive guitar-usb adapter. We review 6 of the best budget guitar-usb interfaces. 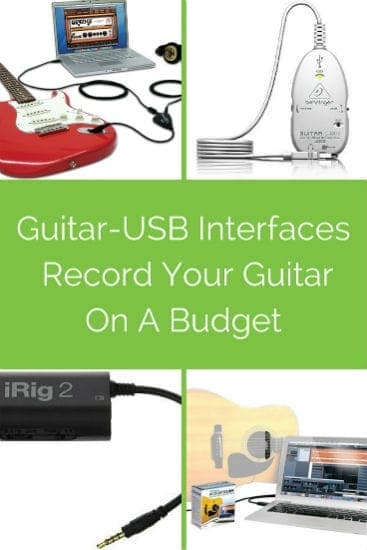 The quickest and easiest way to start recording your guitar, especially if you are on a very tight budget, is to buy one of these entry-level dedicated guitar-USB interfaces. They have been designed to quickly and easily bridge the gap between your guitar and your computer. So you plug your guitar in one end and connect the other to a USB port. Some even come with guitar recording software. Even if they don’t, you will easily be able to record and edit your guitar in Audacity or any other DAW recording software. You will be recording the ‘dry’ signal of your guitar but will be able to use amp simulators and other effects on your computer to create a big fat guitar sound. And you are not limited just to the amp you have. The Neewer Guitar Bass To USB Link Cable Adapter for PC/MAC Recording is THE cheapest way to record your guitar, it is just a simple guitar-USB lead and does what is says on the can. 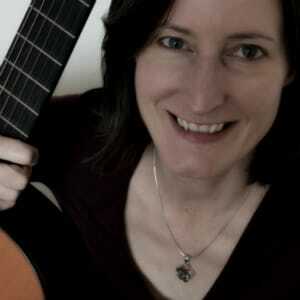 Simple plug and play – guitar one end, USB the other, and start recording. It has a high quality professional shielded cable and 6.5mm jack and a red indicator light flash indication when signal is being transmitted so you can see it is working. Start recording high quality digital music quickly and easily. Next up is the Guitar Link Guitar/USB Interface. Very inexpensive little recording device which has the additional benefit of a headphone port so you can listen to yourself while recording. Audio Quality is 24-bit, 44.1/48kHz. Comes with a free adapter in case your headphones only have mini-jack. Not USB, but deserves a place here for smartphone capability. The IK Multimedia iRig 2 guitar interface adaptor is the best choice to quickly record your guitar on any device – you can use it to record on iPhone, iPod touch, iPad, Mac and Android Smartphone. It comes with a FREE version of the Amplitube software so you can use all kinds of amp sims and effects, and you can output to heaphones or a guitar amp. We think it is the most fun you can have with a guitar for such a small amount of money, which is why it has been a consistent bestseller since it was launched. Every guitarist should own an iRig! The Alesis GuitarLink Plus is a dedicated guitar audio interface with a great bit of software thrown in with the cable (Guitar Rig). So whether you’re recording, performing or practicing, the Alesis GuitarLink Plus enables you to easily connect a guitar, bass, and other instruments directly to your computer. Works on Mac, PC and iPad (with iPad-USB adapter). GuitarLink Plus’ internal, analog-to-digital conversion injects studio-quality, 16-bit, 44.1 kHz digital audio straight to a computer without the need to install drivers – you just plug and play! Good value. The Behringer UCG102 guitar-USB interface is an inexpensive guitar gadget dream come true. What it does is amplify the signal that comes from your guitar and converts it from analog to digital – so you can then record direct onto your computer. You can choose the output method, either listen through your pc speakers, the headphone (or monitor) jack built in to the Behringer, or via computer headphone out. Very simple, and the fact that it has output as well as guitar input is a plus point. Comes with a little suite of software as well. The Apogee JAM is a Digital USB Guitar Interface that lets you connect a guitar to your iPad, iPhone, Mac or Windows 10 PC and record with superb sound quality. This is a small but perfectly formed plug and play interface for guitarists. It will easily let you capture the warmth and richness of your guitar’s tone. The JAM is built for GarageBand and Logic Pro but works great with any recording software or app you choose. If you are also interested in recording your vocals or other instruments, then you might do better buying a full-blown audio interface so you can record your guitar and other instruments and microphones as well. If you want to know more then read about what is an audio interface, and then how to choose the best audio interface for your home recording studio setup.